I remember when I got my first sewing machine and I thought I was instantly Martha Stewart. I had never heard of universal needles, but I was still pretty sure I knew everything there was to know about quilting and sewing and life. I was 15, so I had that endearing (nope), untested teenage confidence. Because I was a teenage prodigy (nope) who never wanted help or advice, I thought that I could just use the sewing needle that came in my machine forever and ever. Like, I didn’t even know it was removable. Then, one day, it broke. And that’s the day I quit sewing. JKjk. I didn’t quit, but I did have to start learning about the wide world of sewing needles. So don’t be 15 year old Suzy. Instead, listen to 31 year old Suzy, and know your needles. 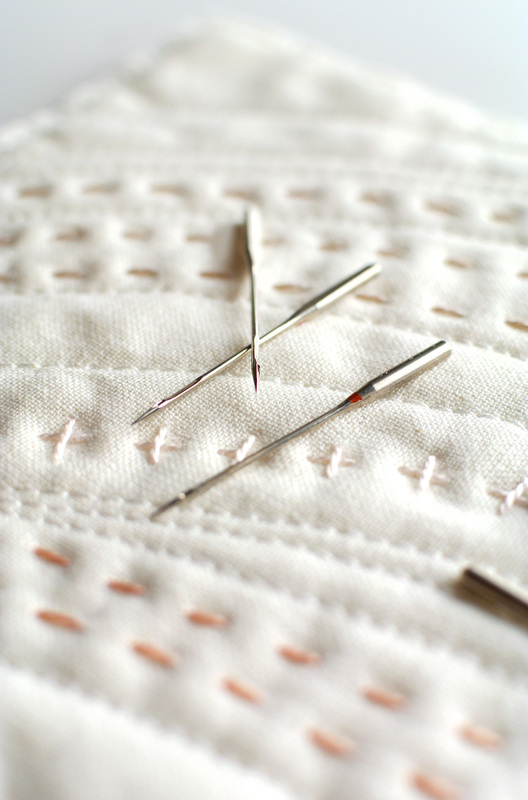 Change your needle after every 4 to 8 hours of sewing (or, get to know how a dull needle feels.) It depends on how high quality your needle was in the first place, of course, but you’ll be much happier with your finished products if you change your needle frequently. If you notice that your needle is skipping stitches, snagging, bunching up, making a "punching sounds" or basically ruining your life, just give it a rest. Do unto your needle what you wish your overbearing boss would do unto you – let it retire. Get to know needle types (or, make sure you know how to read, since most of them are labeled.) There are a ton of different kinds of needles out there, all with slightly different properties that can help with certain fabrics or projects. 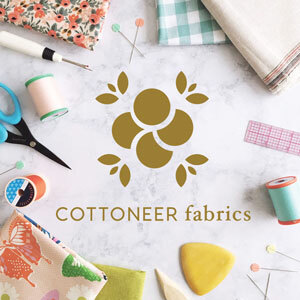 There’s ballpoint needles for heavy knits, tapered points for quilting thick layers, super sharp needles for finely woven fabric, denim needles, leather needles, stretch needles, embroidery needles… there’s like a million. And then, there’s the UNIVERSAL NEEDLE. 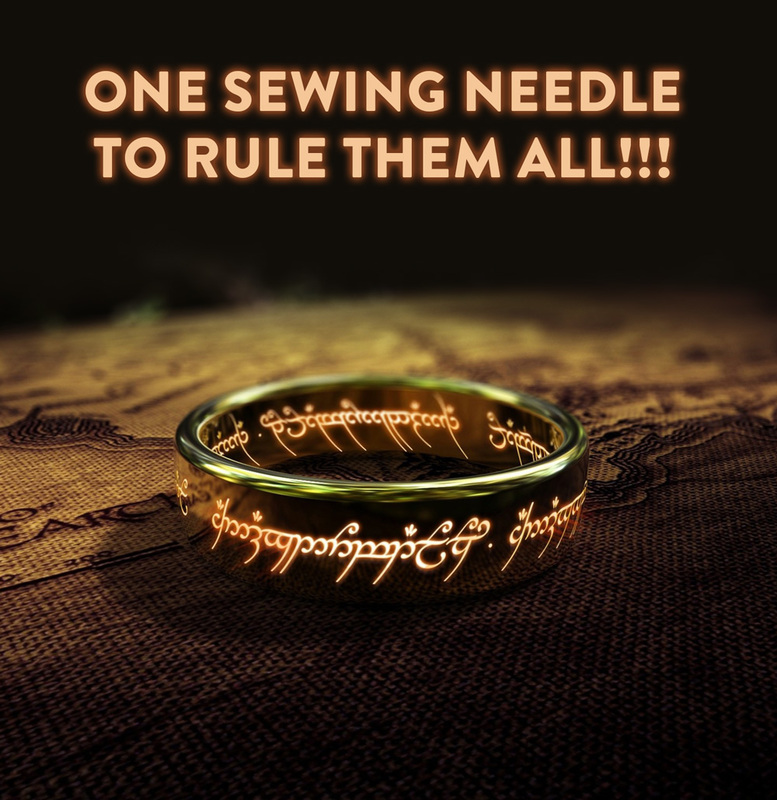 You may have run across the UNIVERSAL NEEDLE and thought it was the only needle you were ever going to need ever again. After all, it’s rounded enough for knits, sharp enough for wovens, and it makes you feel drunk with power whenever you’re wielding it. I get it. I feel the same way. But drink a glass of water and keep reading… we’re going to talk more about universal needles in a second, and why you might want to keep it real about how great they actually are. Heads up, you should bookmark this. Even though there are quite a few different universal needle sizes, there are three main sizes that you should be familiar with. Click the links to buy. 70/10: This baby is your representative in the featherweight division. 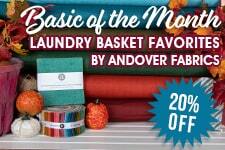 It’s great for polyester or silk. 80/12: Your go-to, everyday size. Gets along well with cotton, rayon, and blended fabric. 90/14: The big(ger) guns. 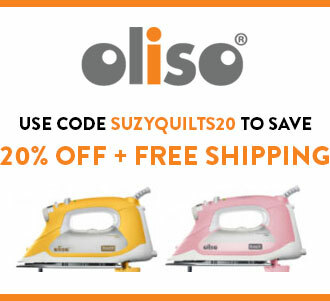 Use with heavier fabrics like corduroy or bottom weight fabric. 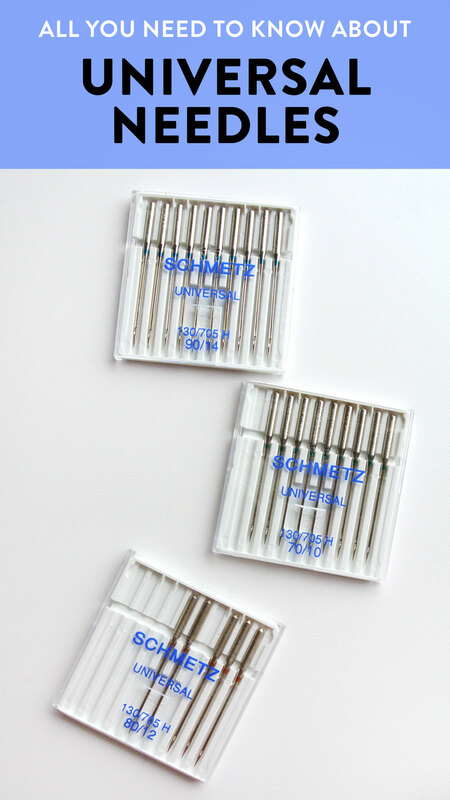 If you’re familiar with these universal needles, and know when to swap them out, you will have a higher success rate with your varied projects. WHY CAN’T I JUST USE A UNIVERSAL 80/12 NEEDLE FOREVER AND EVER? 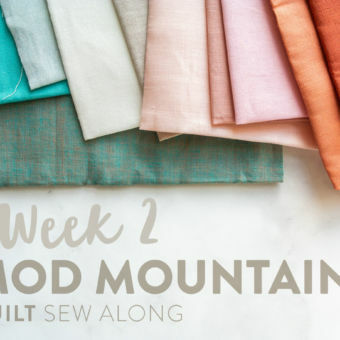 My Quilty Adventure series will give you more detailed information on which fabric pairs with what needle, but as a general rule, use a stronger, thicker needle with stronger, thicker fabric. The great thing about needles is they come with labeled packaging, so if you want to make extra sure that you’re getting the best needle for, let’s say, denim… look for a denim needle. Check out this series on how to sew with different substrates! Not every single fabric has it’s own needle (I bet they wish they did. I bet it’s a huge status symbol in the fabric world.) but there are needles for each fabric category, like knits, wovens, thick nonwovens, or even different kinds of threads, like metallic. 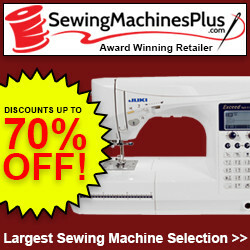 Needles custom-designed for your project will make sewing easier. 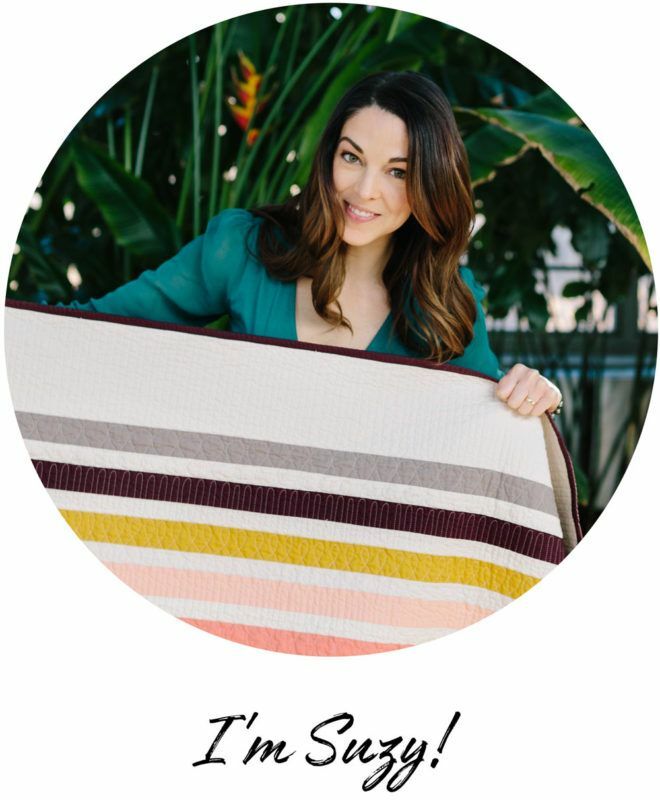 Be good to yourself, and make your project as easy as possible! 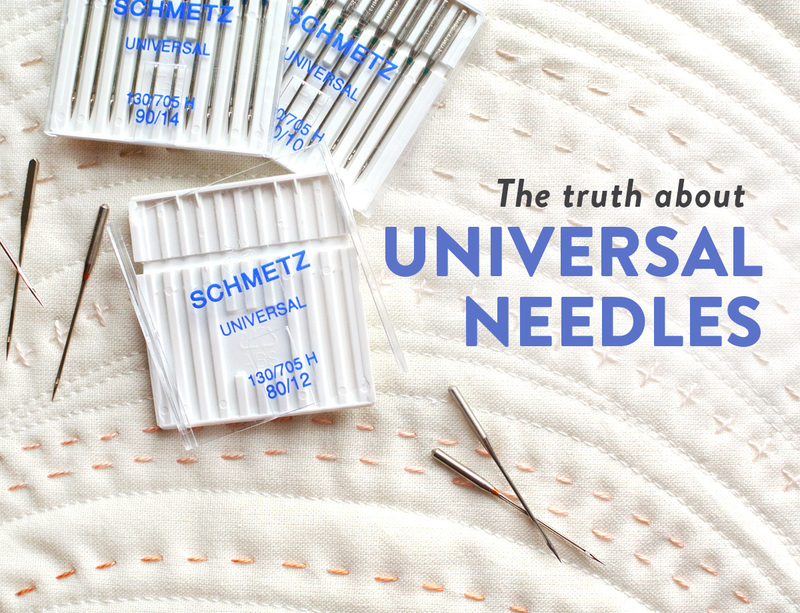 Do you use universal needles? Do you have a favorite brand or type? Let me know in the comments! Would love to know what needle you use for batik? I use a microtex, but it still skips stitches. Do you have a cure? FYI I only buy Schmetz. hmmm…Could it be the needle size and not the type of needle? The only batiks I sew with are cotton weight and purchased from a quilt shop. 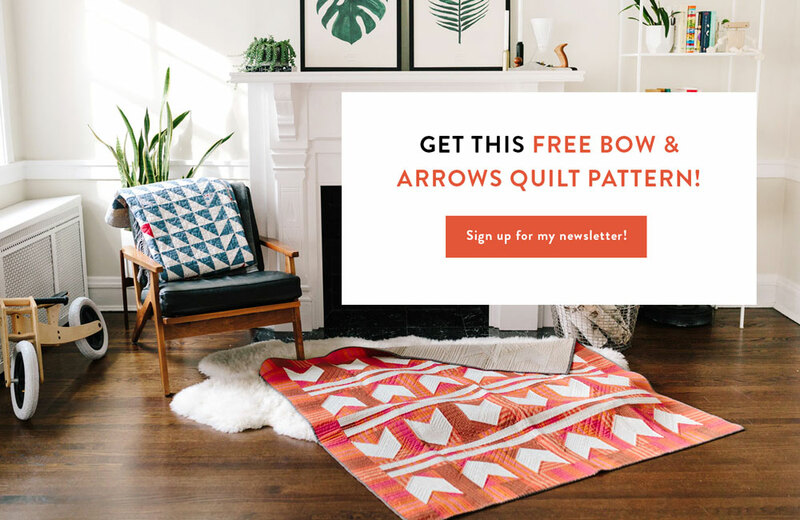 I’ve technically never sewn with handmade batiks, which could be different than what I’m thinking of and need a 90/14 needle. An 80/12 Universal Schmetz needle has always worked great for me, though. If that is still not working, I’d run down the list: Are you using good, strong thread? Has your machine been oiled and brushed of lint recently? Here’s an article on machine maintenance. 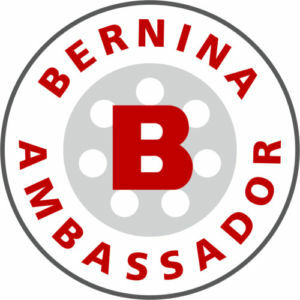 I use batiks frequently and use a Schmetz universal 80/12 needle. I change my needle and clean my machine of lint after each project. I have found with Batiks that for a king size quilt I have had to change my needle once or twice per project. I have not had success with microtex needles. I have had problems with needle brands other than Schmetz. With other brands or with microtex my machine will start skipping stitches. I have not found much different with batiks whether I use a 80/12 or a 90/14 so I go with the 80/12 as it leaves a smaller hole in the cloth. Hope this info helps. Cindy have you tried a denim needle? 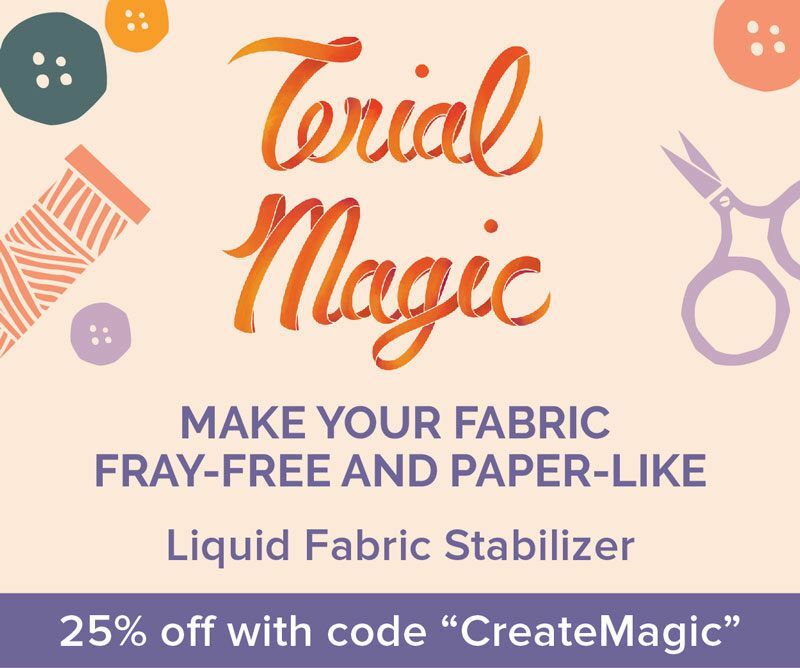 They are great for thicker fabrics and would work well dealing with the Batiks. 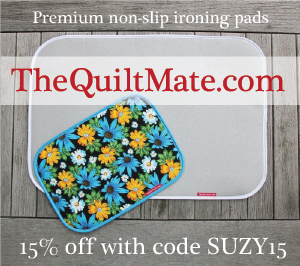 They are also great for quilting! Thanks! 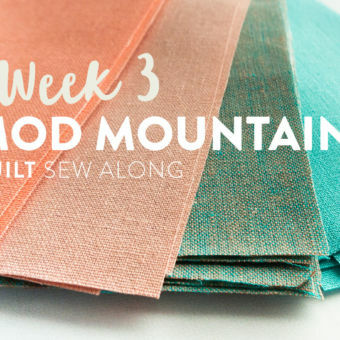 I have aurifil 40 or 50 in my machine. The first time it happened I took it to the sewing repair man. He adjusted the bobbin tension, but it still happened. Then I found that other people had the same problem and suggested the microtex needle. The batik is from a quilt shop so it should be good quality. I’ll check to see if I need to do some cleaning. Thanks so much for your prompt reply! I need to weigh in here about the thread. I use Prescencia thread for the most of my projects. That brand is excellent. Why? Because the coloring never fades and I don’t get dust bunnies above my needle shaft while using it. Have you ever noticed the Ralph Lauren logo on shirts and other products? That’s Prescencia and after 50 washings of a miner’s jacket, it didn’t fade. And, I make my quilts to be used and that means visits to washers and dryers. This is good info. You are funny. Sounds like me at 15 also. I knew all things. Never changed needle unless it broke. Always ran over pins though so they broke often lol. Ok well, that still sounds a little bit like me. hahaha! Needles confused me for the LONGEST time!! I used them for far too long too! And then one day I sat down and did the painful research on the different needle types (I resisted this for way too long too!). 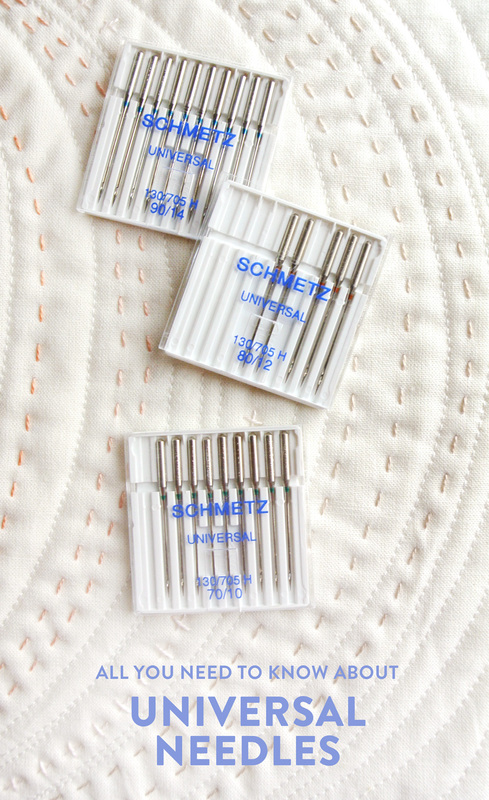 I used to use Schmetz Universal needles, but I switched to Schmetz quilting needles a little over a year ago. I keep both 75/11 and 90/14 on hand, for piecing and quilting respectively. Suzy, I looooove you!!! And your HUMOR!!!! 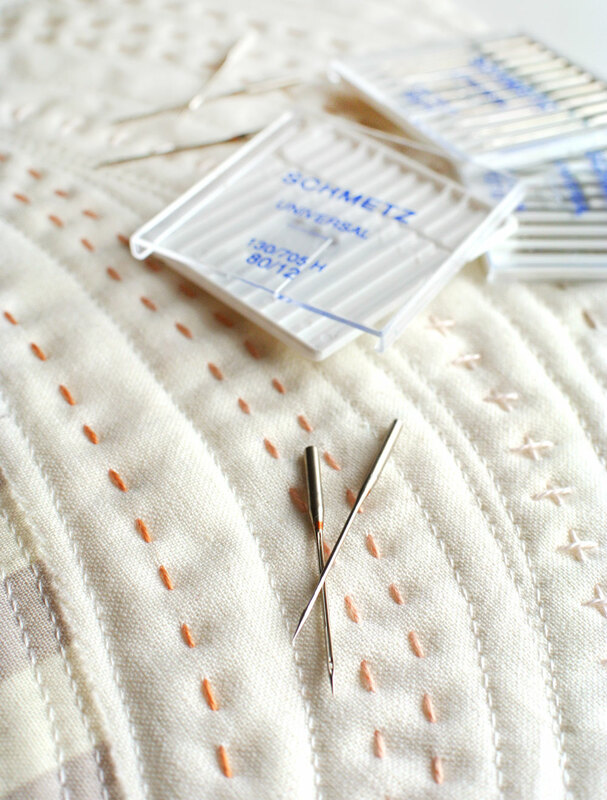 I also use Schmetz, and right now, I’m using the “quilting” needle to piece with also…….your thoughts on that, please, and thank you. What do you think of the ORGAN needles? I also have a commercial embroidery and at an embroidery conference, “she” said to use NOTHING but ORGAN sz 11…….hmmmmmmm? I’m so happy you found it helpful! Definitely use at least an 80/12 and maybe even a 90/14. 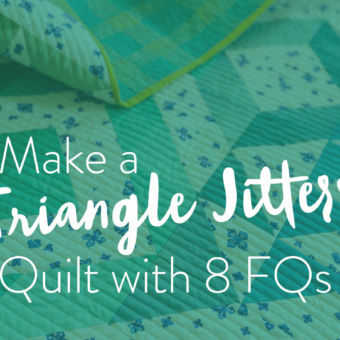 Check out this article on quilting with flannel and this one on quilting with jersey for more tips! Hi Suzy! Thank you for this informative blog post! I recently was given a quilt to finish. All the fabric is from the 1950’s (WOAH!) and seems very delicate. I was told that the original quilter used a treadle sewing machine to work on this quilt. 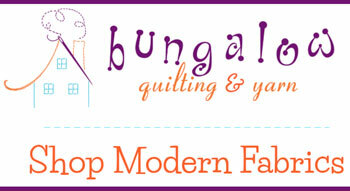 Short of hand sewing it, do you have a needle suggestion for the sewing machine? I’ve been using sharp needles on my quilts, should I switch to a universal? If you’ve been having success with your current needles, why switch? I say stick with whatever works for you. I stopped using universal. 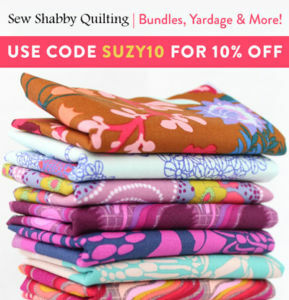 Have gone to several quilt symposiums and they have all said to use top stitch 90/14 for free motion quilting,80/12 piecing. (said universal good for nothing.Seems a bit harsh) Use what your machine and you like. I use all types of thread and needles.Also like Organ needles. So I am assuming if it says “Quilt Machine” needles, since they are heavy needles, they are made just for the quilting through all the layers of a quilt. I have never bought them and just use 80 Universals…, so I was wondering. Similar question for Serger needles. What is different about them? I generally use the universal needles, unless I have a lightweight fabric, or am using a special thread that would require a special needle. Thank you. If your needle is labeled as a Quilting needle, that is referring to its shape and what it should be used for – quilting. Quilting needles have a tapered point that is sharp enough to pierce through multiple layers without punching through the fabric and leaving excessively large holes. If you are looking for a needle that is extra tough and sturdy for machine quilting through all of your layers, look for either a Quilting or a Universal needle, size 90/14 . I have found 80/12 to work just fine, but they are a little bit finer. So just to recap if that wasn’t clear – “Quilting Needles” are specifically made for piecing and quilting, 70/10, 80/12, 90/14, etc…are the sizes, with 90/14 being the largest. I have always used 90/14 needles for piecing, would it be best to switch to an 80/12? Also, universal versus quilting needles? Are quilting needles just for free motion or machine quilting or should I use these for piecing too? If sewing with regular quilt-weight cotton, 80/12 Universal needles are a great fit. Your 90/14 are probably working well, just punching a slightly larger hole than necessary through the fabric. Quilting needles are a step between 70/10 and 80/12. I think they are actually 75/11 – so very similar. As those numbers get smaller, the needle gets finer and smaller. Make sense?